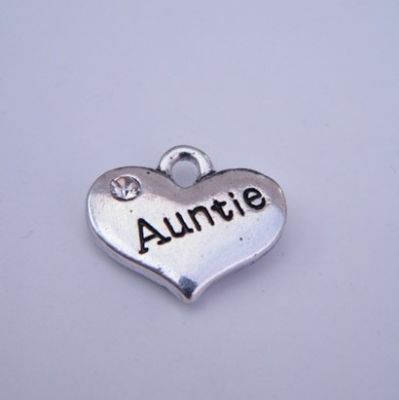 Auntie Necklaces - Charm Style, available in different chain lengths. Lovely Charm Necklace Gift Idea. This Charm Necklace would make a perfect gift!. Necklace & Fixings are silver plated. Charms differ in size and material depending on the one you choose.